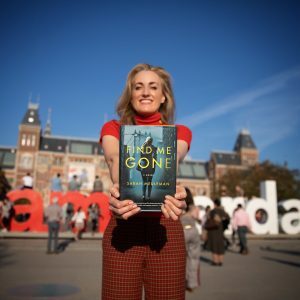 Today is the book-birthday of FIND ME GONE! Feels kind of strange, but most of all I’m excited to finally share this story with my readers. About Hannah and Sophie, about friendship, trust and an inescapable past… As of now for sale on every book site and in the bookstore around the corner (IF you live in the US or Canada ;). Looking forward to the launch event Friday at the American Book Center!